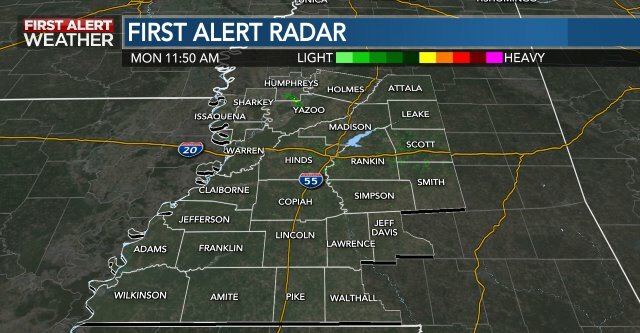 YAZOO COUNTY, MS (Mississippi News Now) - Mississippi farmers in the delta areas of Yazoo, Warren and Issaquena counties will be particularly hard hit by the flood. Their crops are protected from the Mississippi River itself, by the main line levee system, but they get hit by backwater flooding in the Yazoo River Basin because the Yazoo cannot empty into the Mississippi at Vicksburg at these high levels. Yazoo County will be one of the hardest hit areas because there is virtually no levee system to protect the area in the western part of the county from the Yazoo River. Ed Jordan and his wife Beth are having to move everything they own out of their home at Carter, Mississippi, just northwest of Yazoo City. They are losing crops of corn, cotton, soybeans and wheat worth a million dollars. They live near Wolf Lake, and old Oxbow Lake of the Yazoo River. They have found a house to rent in Gluckstadt for up to two months during the flood. Beth Jordan is just devastated. "We cried, we couldn't believe it" said Jordan. "Losing our house and our land. "No money." The flooding here is expected to reach 107 feet above flood stage which is six and a half feet higher than it was in 2008.